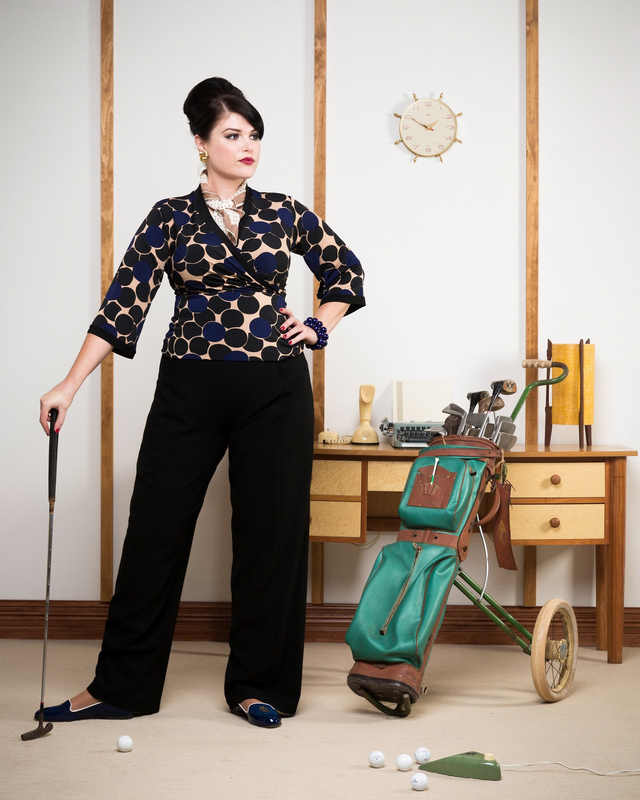 Sassy Lulu is wearing the Madison Avenue Pullover in EFFERVESCENT & the Steinem Slacks in BLACK. This picture is my take on flipping the status quo of office culture in the 1960s. The iconic image of the male boss playing golf in his office has been subverted!